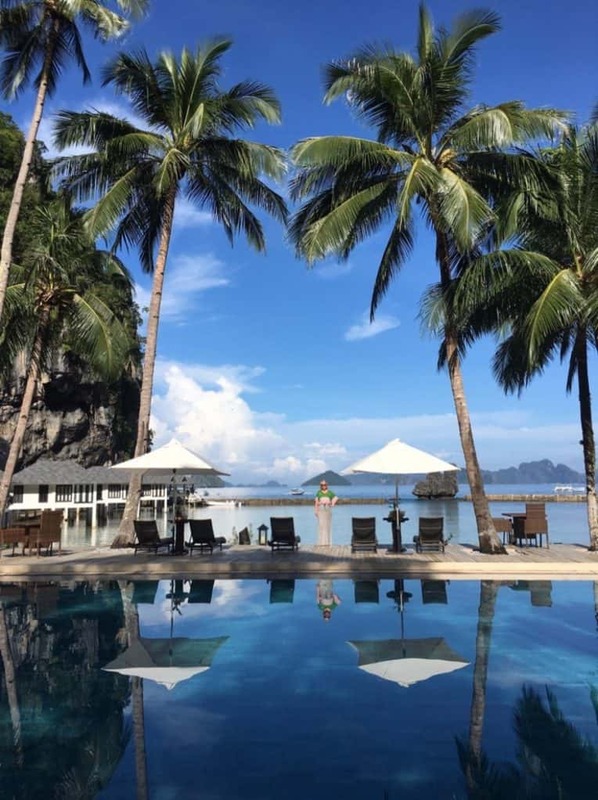 This is my review of Lagen Island, El Nido Resorts, Palawan, The Philippines. 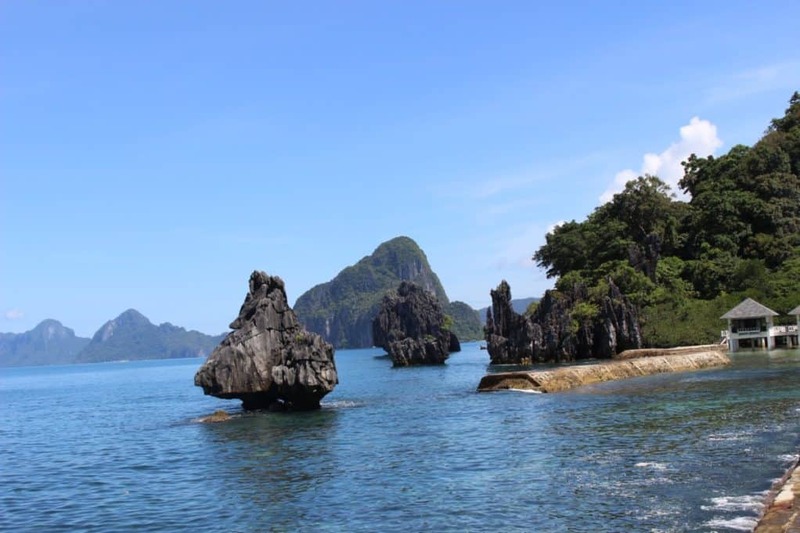 I looked at so many traveller photos of the beautiful islands of The Philippines and longed to visit! 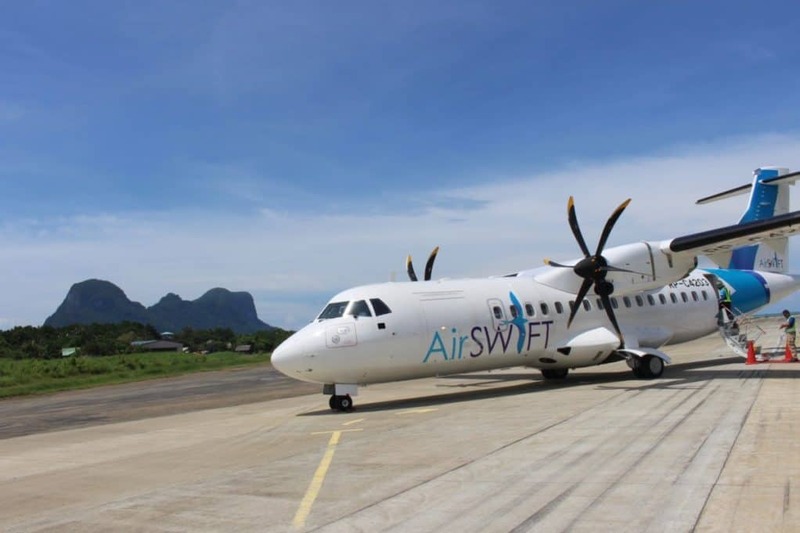 My fellow travellers always pointed to El Nido and Palawan as the prettiest spot and so we planned a trip flying into El Nido Airport from Manila with Airswift airlines. 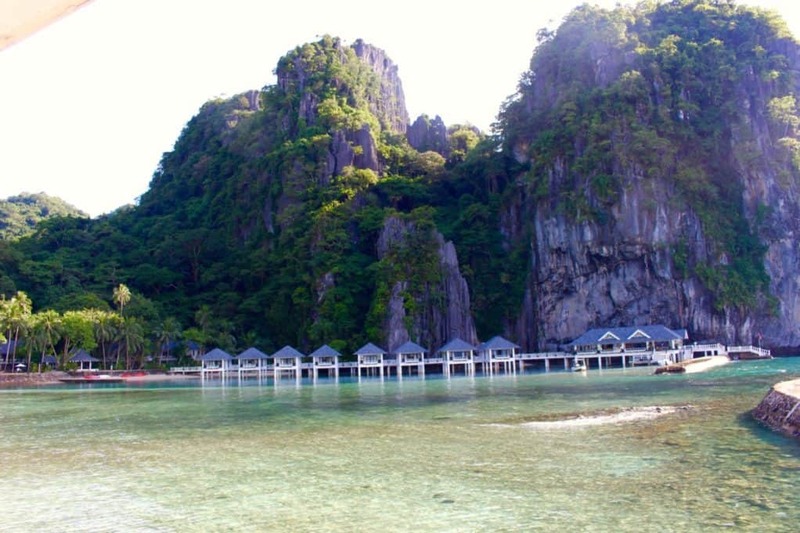 A fabulous trip followed and El Nido Resorts definitely have Diva approval and you know how Diva-esque I can be! The journey from the small Terminal 4 at Manila Airport was hassle free and the views from the small plane were delightful. Everything was so well organised and our luggage transferred to Lagen Island resort directly so we didn’t have to worry about a thing! El Nido airport is small, charming and very pretty! We were even greeted by singers as we arrived at the terminal, which is little more than a grass hut but everything was well organised and went smoothly. A 50 minute boat ride, just for Lagen Island passengers followed and gave us lovely views of the islands along the way. 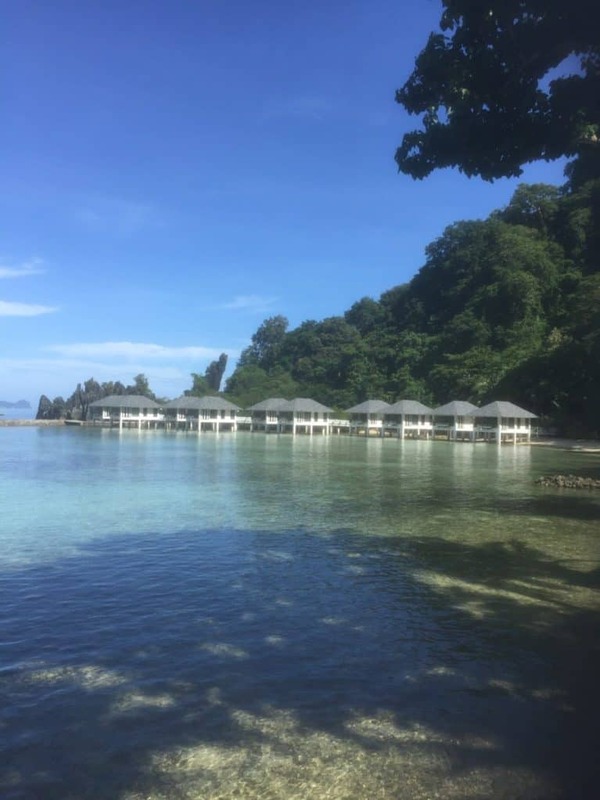 You will have your breathe taken away by the perfect setting of Lagen Island. Pristine beaches, crystal clear water and a tropical paradise! I’m so happy I decided to make the long journey and this is one happy Diva! Arrive at Lagen Island to warm welcome and you will definitely be delighted by the awe inspiring setting of Lagen Island. 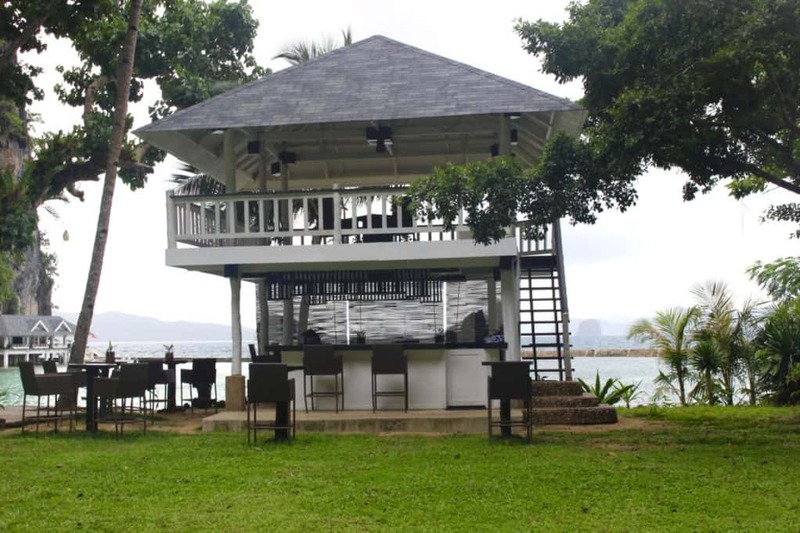 It is a little piece of paradise and it will be yours for the duration of your visit! We never felt as if there were many people around, the peace and tranquility are perfect. We stayed in a Water Villa, the one on the far left in the picture with lovely views. 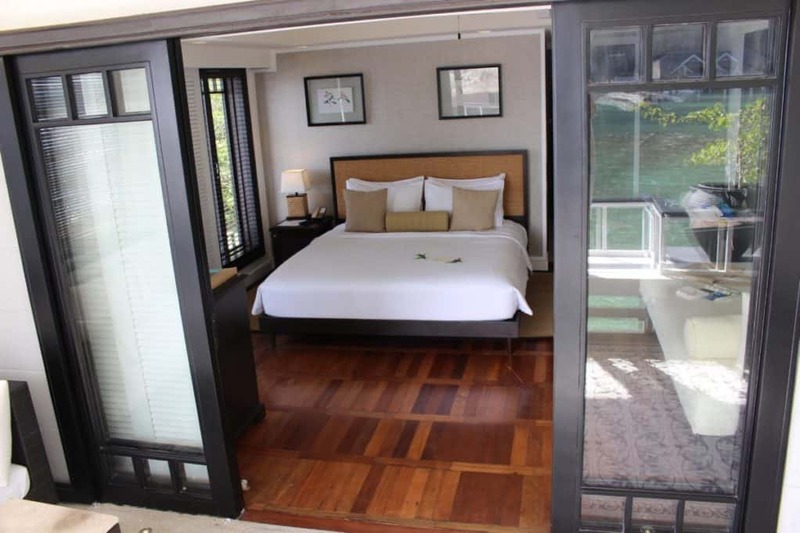 There is a choice of 3 types of villa, Forest Villas which are slightly larger, Water Villas, my favourite choice right on the water. 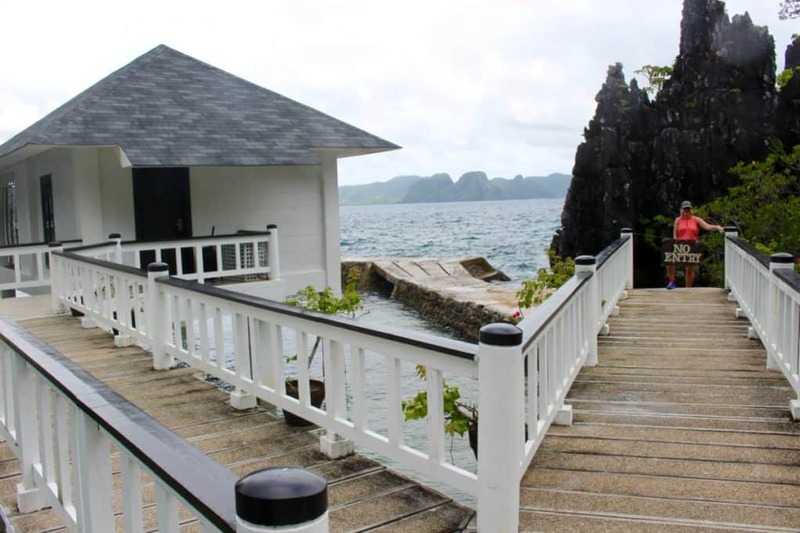 The setting is breathtaking, Lagen Island has a magical setting on a larger island than the other El Nido Resort properties. I loved their Eco-friendly approach, we were given bags to collect any rubbish washed up from the sea. the islands were all pristine so we didn’t really need these bags. All the staff are given training on sustainability and protecting the wildlife. The birds sing in the trees, and if you are lucky you will see monkeys eating fruits in the trees outside your villa. Watch the bright tropical fish swimming along in the pristine waters as you sit on your villa terrace. 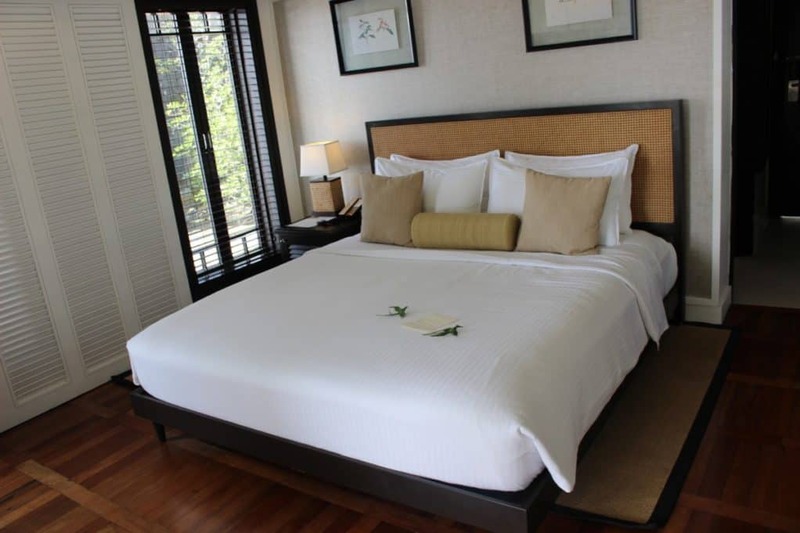 The Water villa is comfortable with a comfy bed. WIFI, tea and coffee and TV. I loved lying in bed and looking at the sea view with the little boats going past. 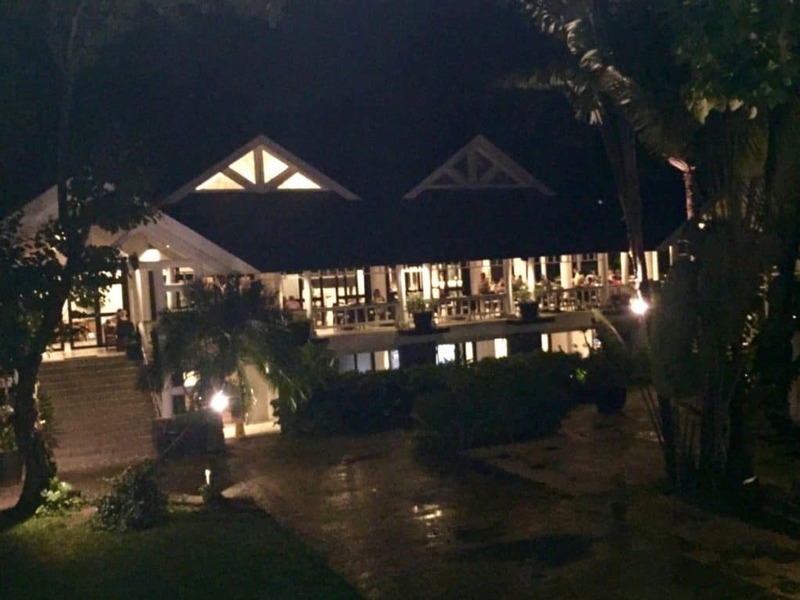 The setting and breathtaking views are definitely the highlights of a stay at this resort. The bathroom has everything you need, it is small but with a good shower. A beautiful walkway links the Water villas with the rest of the resort. It is a delight to walk along spotting butterflies and birds in the trees and fish in the water below. Enjoying the view on my Water Villa Terrace. The perfect spot for my Yoga practice too! 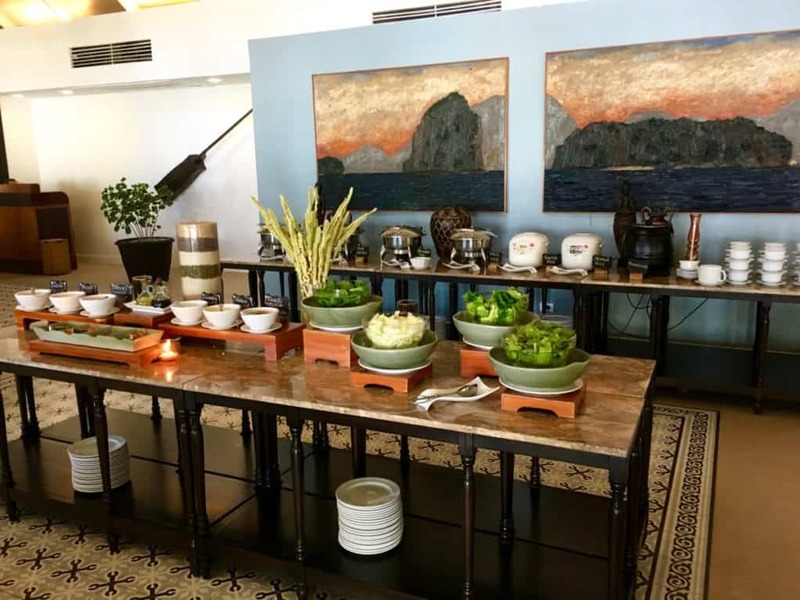 All meals are in the buffet restaurant, which has a lovely veranda where you can sit and enjoy a delicious meal. It is impossible not to be relaxed here on Lagen with the peace and tranquility. Staff at Lagen are all charming, friendly and super helpful. Choose from a good selection of fresh shell fish, fish, meat and chicken. Salads, soups to start and always some exotic fruits to try. We enjoyed the delicious seafood and fish at the restaurant. 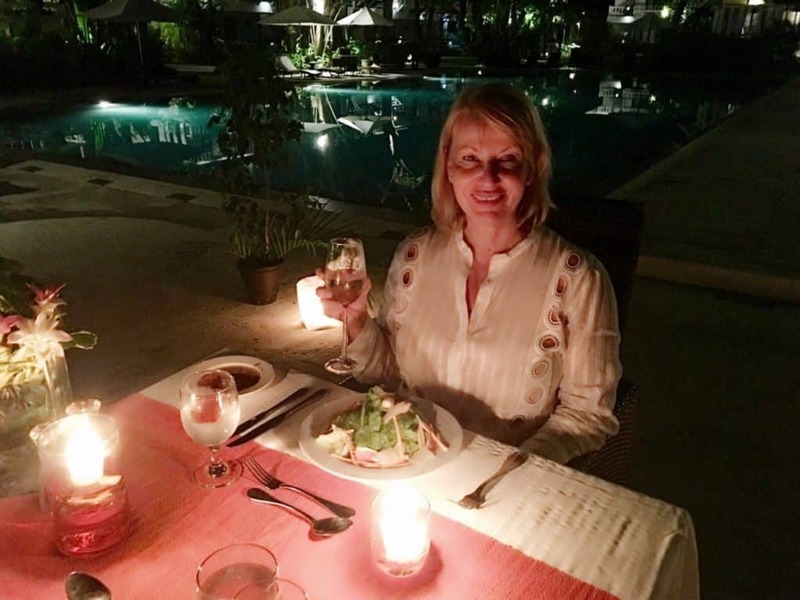 We were treated to a private dining experience by the pool which was a wonderful treat! The chef discussed our menu with us and we enjoyed a bottle of New Zealand Monkey Bay White wine with a delicious chowder with squid, fish, shrimp. 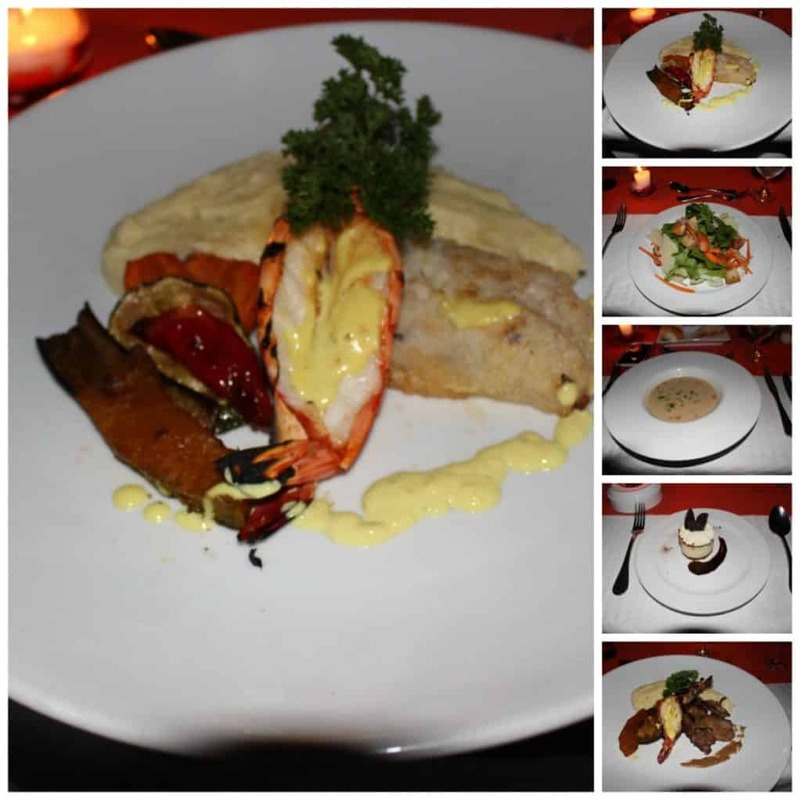 Our main course of Snapper, grilled vegetables and Jumbo Prawns was equally delicious. Desert was Cheesecake and fresh fruit. A private dining experience can be arranged on Lagen Island Private beach which is a couple of minutes by speed boat and is the most romantic spot imaginable. 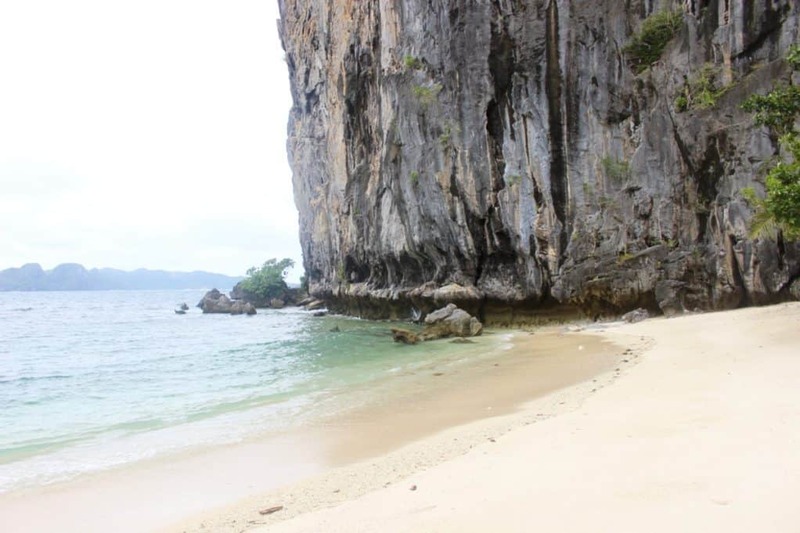 Make sure not to miss out on this beach if you stay here. 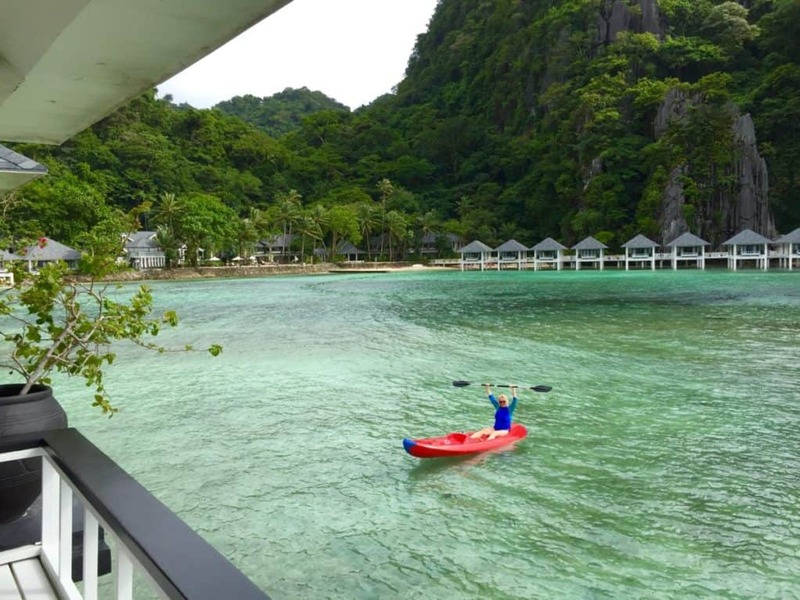 The resort provide free Kayaks and Paddle boards. The beach is an easy 15 minute Kayak ride away. The large pool is just perfect! The prettiest setting for a pool I have ever seen. 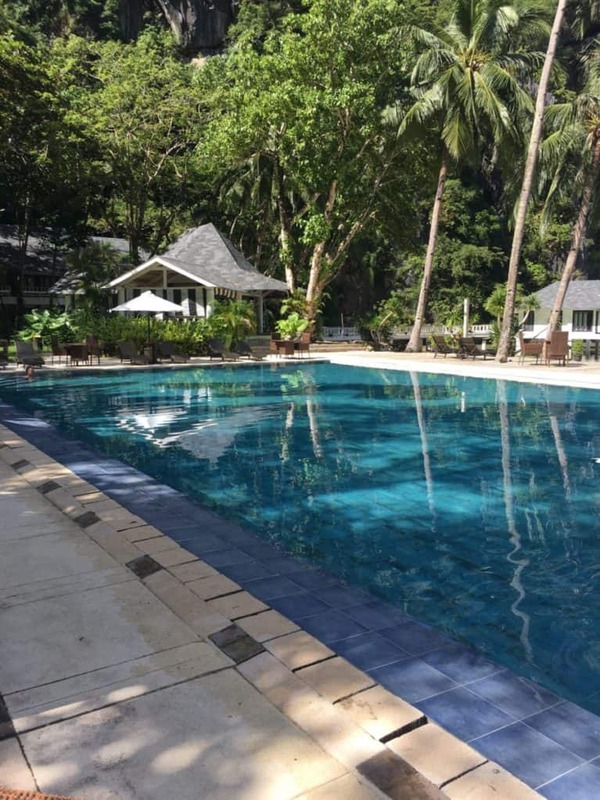 El Nido Resorts Lagen Island definitely has the Diva stamp of approval and I recommend a stay! You will not be disappointed. Top Tip: Try and visit during the dry season from February to April. We went in October and did have some bad weather as well as sunny days. Look at the resort website for more information.